The Atlas Methanol Plant is one of the largest methanol plants in the world. 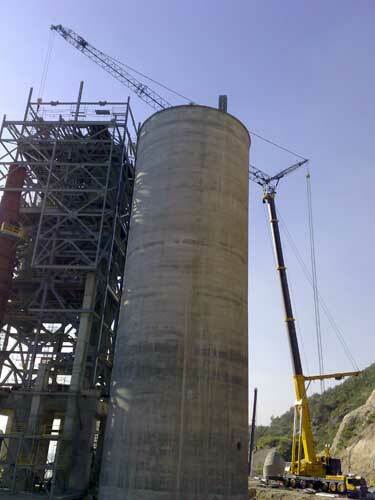 Paramount was responsible for the mechanical erection and project management of the entire plant. The Atlas Methanol Plant is the largest in the world. 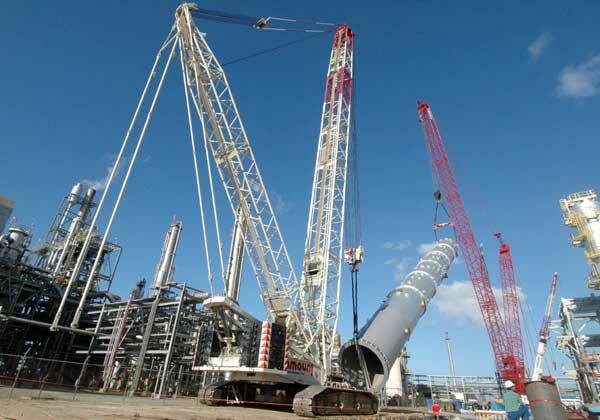 Paramount was responsible for the mechanical erection and project management of the entire plant. Paramount provided all labor, equipment and management for the erection of the Atlantic LNG Train 4 expansion project (as well as the preceding trains 1, 2 and 3)We received, stored and issued each piece of machinery and equipment, including a large range of cranes, special material handling equipment, a fleet of trucks and trailers, and large crawler cranes to offload ships at the Bechtel dock. This operation employed 190 people. 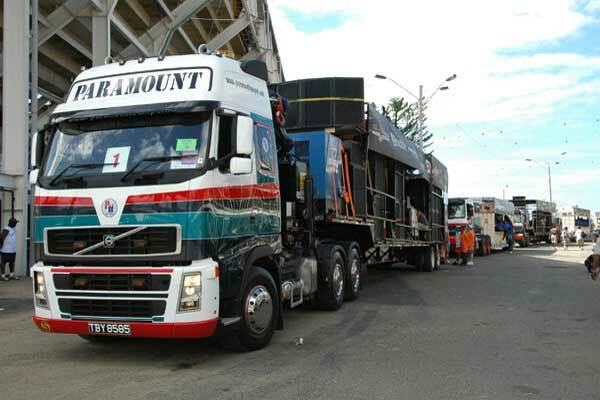 For the past 30 years, Paramount has provided BPTT with safe material handling services including all pipeyard operations at Galeota Point and other locations around Trinidad & Tobago. This includes loading, unloading and transportations of materials, pipes, cargo containers and scrap for use in offshore drilling. We are currently expending our cement plant in Rockford, Jamaica. This enables Paramount to meet the specialized cement needs of any operation. 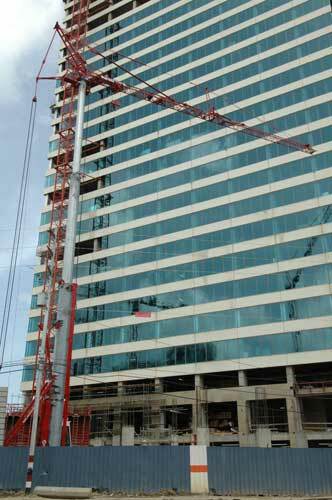 This project utilized specialized cranes of various capacities, trucks, trailers, telescopic forklifts, etc. 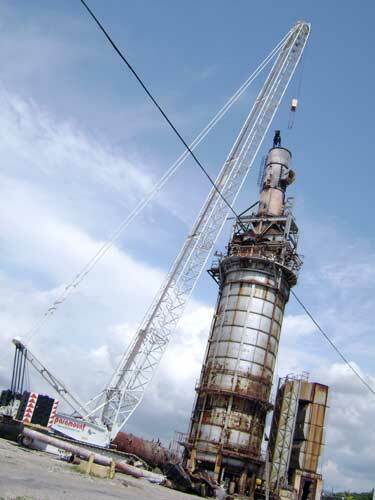 Paramount provided lifting equipment to facilitate the demolition of a Panamanian oil refinery of vast magnitude. 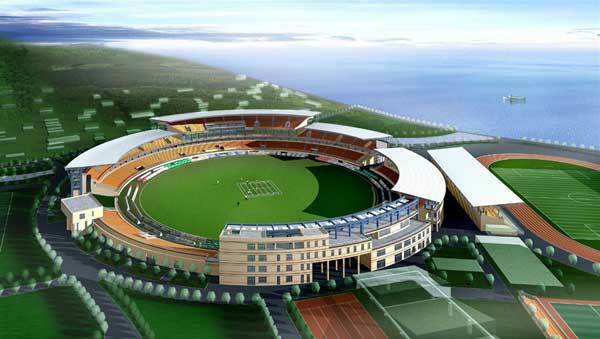 This stadium was constructed in Grenada for the 2006 Cricket World Cup. Paramount's cranes and earth moving equipment were utilized. We have continued our long standing relationship with Liebherr Cranes Limited, for whom we previously erected two ship to shore container cranes, to supply the equipment and workforce for the mechanical and electrical erection of two additional Container Cranes. 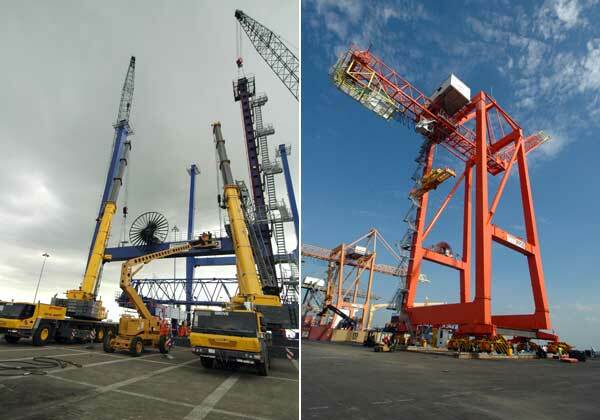 One crane is located at the port of Port of Spain, the second at the port of Point Lisas. 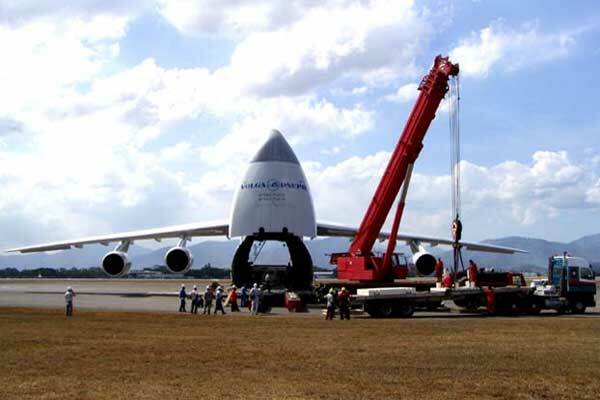 Paramount is in the process of transporting and installing all heavy equipment and machinery for the construction of an ammonia plant, a urea plant and two melamine plants in Pt. Lisas, Trinidad. 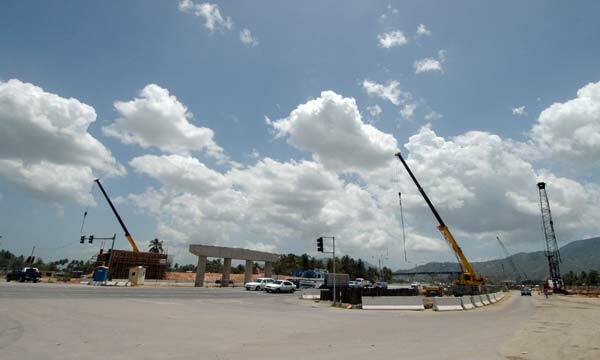 Paramount has been subcontracted by Vinci Construction to provide lifting and transportation equipment for the construction of an overpass at one of Trinidad's busiest intersections. This project is geared toward improving traffic congestion. Paramount is proud to be part of this nation-building effort. 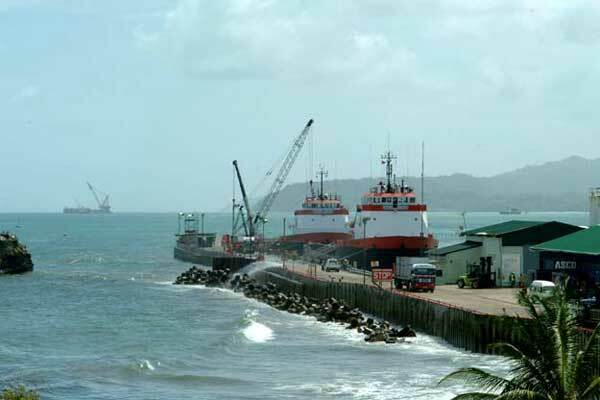 Paramount has been entrusted by the French company Bouygues Batiment to meet the majority of their transport and lifting needs for this mammoth project to expand and modernize the waterfront in Port of Spain. The Paramount presence was felt for two consecutive years at the 2007 and 2008 Carnival festivity where our colours were on display in the Island People Mas band. Paramount was given the responsibility of redesigning trailers to meet specialized requirements of our client. 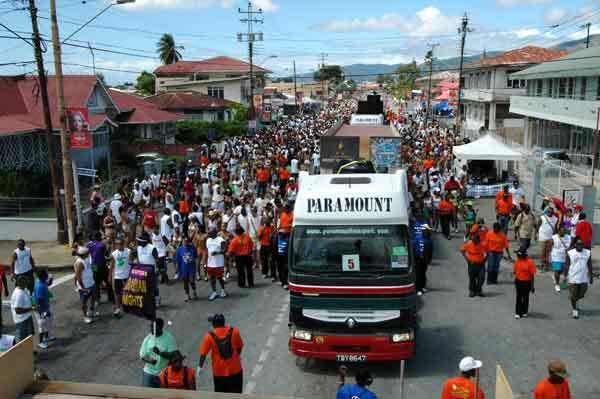 Our trailers and trucks created the possibilities for the movement of Sound Systems and Carnival revelers at the same time in a safe efficient manner while utilizing traditional heavy equipment. Our skilled drivers were noted for their maneuvering techniques and their fit to the culture of the national event. Paramount has been providing asphalt mining and transportation services to Trinidad Lake Asphalt for approximately ten (10) years. Our scope of works includes the removal of asphalt from the Pitch Lake at La Brea using Bulldozers (with special attachments) and transporting it to a nearby process plant where it is refined and packaged for export. 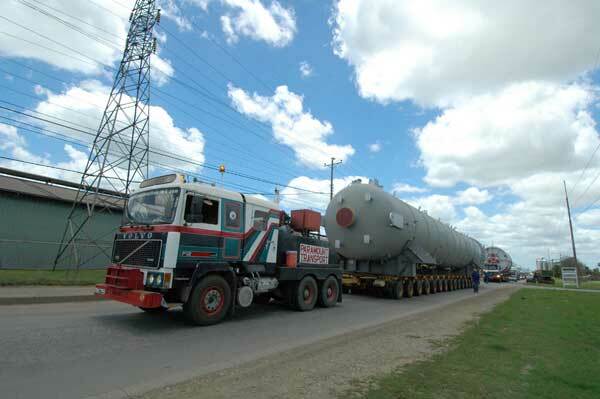 Finally, the finished product is transported to either the Port-of-Spain or Point Lisas Port. 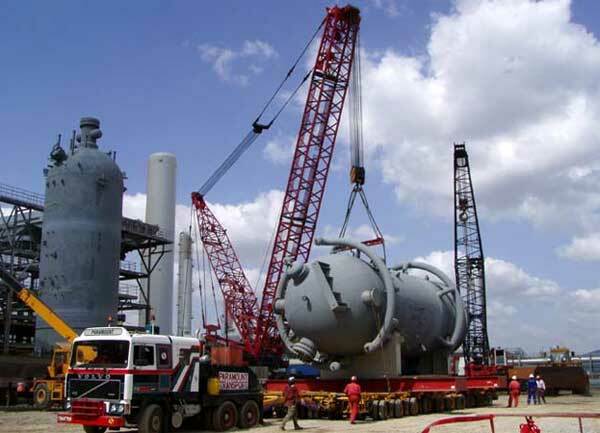 Paramount has been subcontracted by Samsung Engineering, Trinidad Ltd. to transport all components necessary for the erection of a CCR Platform Plant to facilitate Petrotrin's Gas Optimization Program. 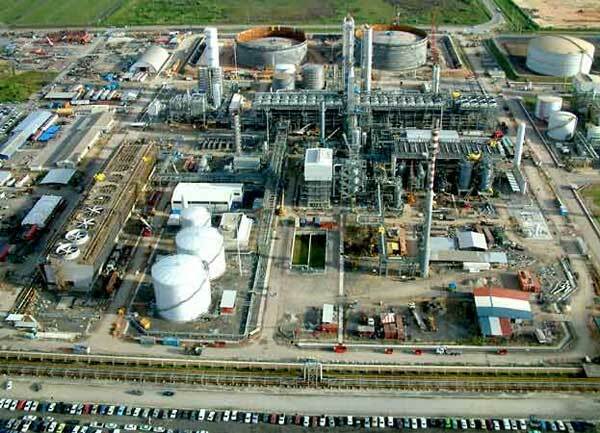 Paramount has been subcontracted to transport all components for this alkaline/acid plant as an initiative for Petrotrin's Gas Optimization Program. 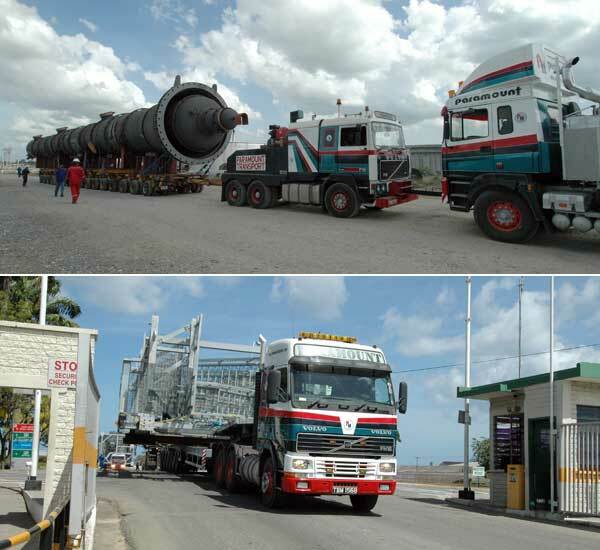 Paramount has been a key player in aiding GE NUOVO PIGNONE in their monumental task of conducting maintenance shutdowns twice a year for the gas turbine pressure modules at the ALNG plant in Point Fortin, Trinidad. This project requires strict scheduling and safety measures. Paramount has utilized the Gantry Crane to remove components from the modules and to transport them back and forth during service intervals.